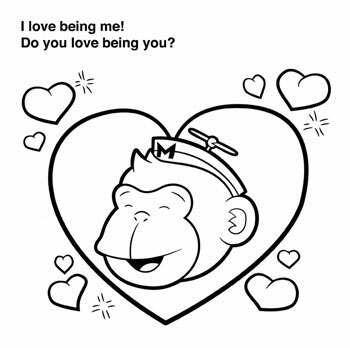 One day, MailChimp CEO Ben Chestnut discovered that his company had acquired a new tagline. Chestnut hadn’t approved, or even known about this rather significant new bit of corporate identity, but there it was–“Love What You Do”–on the footer of the company website. At most companies, changing a piece of punctuation in a line of ad copy takes three weeks of meetings between about 14 people across six departments. So typically this would be the kind of occasion that terms like “tearing a new one” and “terminated with extreme prejudice” were made for. MailChimp has added a splash of mischief to a product category not known for…well, much of anything. The company’s mascot is a chimp in a mail carrier’s uniform. MailChimp employees brag about office pranks on the website, and a web-enabled Nerf cannon stands guard over the office. The company’s online T-shirt giveaways trigger virtual stampedes. From the beginning, however, that approach has been more than a dotcom posture. The culture of giving people “permission to be creative,” has been one of the keys to MailChimp’s success. The Atlanta-based company today has more than 825,000 subscribers worldwide, including both individuals and organizations like TED, Gawker, Vice, Harmonix and The Economist (Eds. note: and Fast Company–no, we’re not getting a rate break on the back of this piece), and is sending 1.75 billion emails per month. That loose creative culture has also gone hand-in-hand with a deliberate, profits-first approach to growth, that, last year, paid off for MailChimp’s 100 employees in ways that went far beyond job satisfaction. “Look at the name MailChimp,” says Chestnut. “That was a joke, really.” In 2000, Chestnut and his two cofounders began work on the predecessors of today’s web apps with their company The Rocket Science Group. MailChimp was an internal email tool they designed for a handful of their clients to use, but as a side project. Over time, however, MailChimp began demonstrating the fundamentals for scale and profitability that their web development lacked. The transition away from web development started in late 2005, and MailChimp became a full-time pursuit by 2007. As their side project outgrew their more grownup endeavors, the founders refused to let go of the rambunctious attitude that marked their early days. “You never really know what to expect when you walk into our office,” says cofounder Dan Kurzius, whose solemn duty is maintaining the company’s culture of fun and creativity. Kurzius once surprised employees by coming to work in a life-sized costume of Freddy the MailChimp mascot, which he and Maydwell Mascots designed in secret over a two-month period. Here, MailChimp takes a page from the playbook of some other tech world notables. Google’s Sergey Brin, for example, has been known to show up to job interviews wearing a cow costume. Apple cofounder Steve Wozniak, a legendary prankster, once called the Vatican posing as Henry Kissinger and tried to convince a friend that there was a state in Mexico called Jalapeno by creating doctored maps using digital tools unheard of at the time. Wozniak has been quoted as saying that the kind of humor involved in pranking goes to the creativity and inventiveness that’s indispensable for a company like Apple. And, incidentally, it was MailChimp’s head of user experience, Aarron Walter, who was behind the impromptu tagline. Easter eggs are another ritual that is part of MailChimp’s creative culture, and they have often bridged the gap between fun and fundamentals. In the tech world, an Easter egg is a practical joke or a hidden bit of content that gets included in the finished product, and they are so named because users have to search for them. Kurzius was the creator of the first Easter egg, a popup preview window that uses a monkey’s arm to show how a draft email will look before it’s sent. If you keep stretching the email–far beyond the dimensions of a normal computer monitor–the monkey’s arm will eventually pop out of the socket. Once you’re logged into your MailChimp account, you can launch the game Asteroid by typing “boredom,” into the search bar. A triangular spaceship will appear, and you can fly around the screen blowing things up with a photon blaster. 1. Avoid rules. Avoid order. Don’t just embrace chaos, but create a little bit of it. Constant change, from the top-down, keeps people nimble and flexible (and shows that you want constant change). 2. Give yourself and your team permission to be creative. Permission to try something new, permission to fail, permission to embarrass yourself, permission to have crazy ideas. 3. Hire weird people. Not just the tattoo’d and pierced-in-strange-places kind, but people from outside your industry who would approach problems in different ways than you and your normal competitors. 4. Meetings are a necessary evil, but you can avoid the conference room and meet people in the halls, the water cooler, or their desks. Make meetings less about delegation and task management and more about cross-pollination of ideas (especially the weird ideas). This is a lot harder than centralized, top-down meetings. But this is your job — deal with it. 5. Structure your company to be flexible. Creativity is often spontaneous, so the whole company needs to be able to pivot quickly and execute on them (see #1). Easter eggs have done more than just make people laugh, says Chestnut. Early on they helped advertise the company as an attractive workplace for creative programmers and designers, but they also scared away large enterprise clients. So, the wacky MailChimp vibe has always rode shotgun with a serious, deliberate approach to growth. As Chestnut outlined in a recent blog post, the company has been a classic case of an overnight sensation–10 years in the making. At the outset, the company focused on building a paid customer base, and on profits. MailChimp went “freemium” in September 2009 and increased the number of paying clients by 150 percent, while growing profitability a whopping 650 percent during its first 12 months. Enterprise email is today a key area of growth; more than 20 percent of MailChimp subscribers have email lists with more than 10,000 subscribers. “Over time, we couldn’t scare them away,” says Chestnut, of enterprise users. 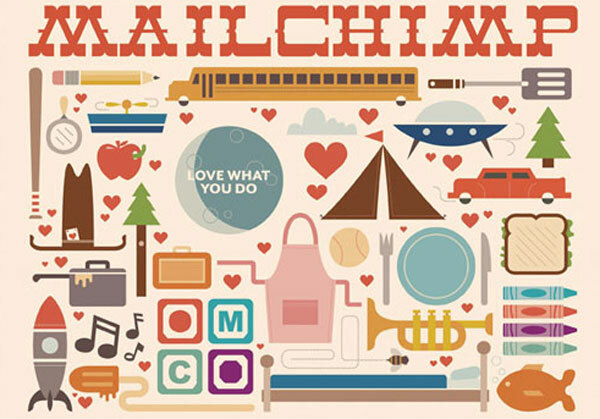 MailChimp has also invested heavily in fostering creativity among the larger design community, creating the $1 million Integration Fund in November of 2010. The purpose of the fund is to pay programmers who submit ideas for innovative uses of the MailChimp API, and are ready to build them. “Sometimes it’s easier to be creative about someone else’s product,” says Chestnut, noting how every time he and his engineers get together to design a new feature, an integrator beats them to it. Sundrop Mobile has created one of the standout products with money from the Integrator Fund; its add-on allows you to subscribe directly to an email newsletter by sending a text message to an SMS short code. While he was reluctant to discuss exact profitability figures, Chestnut says MailChimp finished the year with a lot of extra cash on the books. The choices the founders had were to pay a severe tax penalty for withdrawing the money, or spending it on the company. While consultants recommended tax shelters such as offshore bank accounts, Chestnut and his management team decided to set up an employee 401(k) plan and make the maximum contribution to each employee–more than $1,000,000 total.